Weaker than expected PC demand continues to be a point of concern for Microsoft Corporation (NASDAQ:MSFT) according to UBS Managing Director, Brent Thill. The problem having streamed from the fourth quarter is expected to get even worse this year. In the wake of IDC affirming that demand could go down by as much as 4.9% against a prior guidance of 3.3%. During an interview on CNBC, Thill reiterated that Microsoft was on the right track as CEO, Satya Nadella, comes off the honeymoon phase straight into the execution stage. 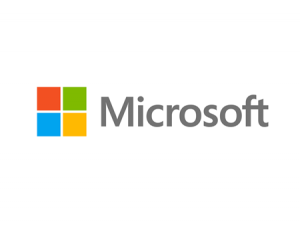 Thill affirms that Nadella is doing everything right at Microsoft Corporation (NASDAQ:MSFT) having wowed both small and big tech companies with his management style. The only concern according to the analyst is how long it will take the Redmond-based company to get to the other side in terms of desired earnings amidst a shrinking PC market. “Nadella is inheriting the company in a position that I don’t think he wanted to inherit it in. […] Its tough right now, and now he is in that execution phase so the grade I give him I rate him very high. Everyone in Silicon Valley says he is doing the right thing the CEO of Adidas drop box,” said Mr. Thill. UBS currently has a Buy rating on Microsoft Corporation (NASDAQ:MSFT) despite slashing their price target on the stock by $3 to $49 a share. The cut on the price target comes in the wake of Intel Corporation (NASDAQ:INTC) reporting weaknesses in XP refreshes in small and mid-sized businesses. “[..]The least at risk are the larger cap Microsoft Corporation (NASDAQ:MSFT) Oracle Corporation (NYSE:ORCL) Intuit no FX exposure for Intuit Inc. (NASDAQ:INTU). So Intuit is a great story that we like that we think you have no FX concern and great fundamentals,” said Mr. Thill.